Home loan is with us half of our life time. We understand that. We take a little of your time to clear all your doubts. Here are the FAQs regarding home loan which make you understand the concept better. KYC means “Know Your Customer”. As the name suggests, banks or institutes collect the identity of the customers to know the uniqueness. Usually the financial institutes, collect these only to ensure they don’t give way for the fraud. 2. Why is a co applicant needed? And who can be a co applicant ? Though a co applicant is not mandatory with any home loan, it is needed to increase the eligibility of the applicant. Anyone with direct blood relation can be a co applicant. For example, spouse, brother, son, daughter, father, mother. 3. How to transfer your property without being in the place in person? If you are not in a position to do it yourself due to various reasons, you can give the Special powers to the person by making a deed of Special Power of Attorney. Firstly, you should draft the deed with grantor (your) details, attorney details, reasons for giving power, the act to be performed, date and signatures of grantor and two witnesses. The deed should be made on a Stamp paper of appropriate value according to the Rules of the State where it is to be registered. The person to whom you send the deed should get it registered in the appropriate Government office as per the State rules. It can be either the Sub-Registrar office or the Sub -Divisional Magistrate office. 4. Can I send soft copies of my documents ? Actually, all the documents need to be attested by the applicant and co applicant, if any. So, sending soft copies cannot be a good idea. If NRIs want to apply for home loan without coming to India, then the NRIs need to visit the embassy or notarized authorities to verify the documents and get the stamping done. 5. What is Processing Fee cheque ? Why do we need to pay ? Processing Fee is paid to the bank before the loan application is approved. Which means, the fee for all the needs to verify the authenticity. Processing fee can be paid by cheque. The processing fee usually covers the legal verification charges, property and document verification charges. Sometimes, there will be a zero processing fee period by the banks. So, during that period, the legal charges are charged separately. 6. 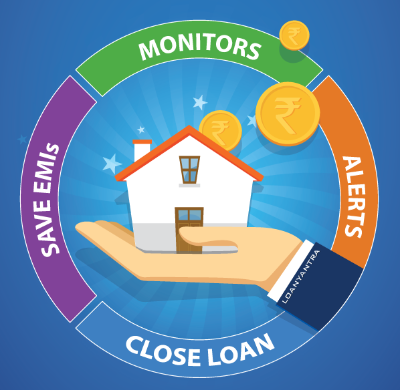 What kinds of verification is carried while processing home loan ? Initially, when the customer approaches the lender for a loan and provides his information, the lender to check the accuracy of information, conducts FI check. To make FI report, FI agents come to your office, resident and property for the basic confirmation. After this, the detailed verification continues in two ways. Legal and technical. Legal check involves verifying Title Deeds, No Objection Certificates of authorities and other ownership papers of the lender’s property. And technical check is important to estimate the market value of the property. So, the technical valuation is done to know the maintenance, the age of property, level of construction, square feet and built up area, quality of construction, required legal clearances, the locality and special comments and the market value of the property. However, days have changed and the things have become simpler. If your property is listed in the bank’s approved project’s list, then the above process becomes simpler. 7. What is Personal Discussion (PD)? Personal Discussion (PD) is a detailed and personal discussion held for checking the credibility of business officials. Usually, the credit officer meets the business official in his office to have a detailed discussion about the ways of repayment of loan and methods of repayment by proving his business income. 8. How many days will it take to sanction the loan? Usually, the loan sanction period varies from lender to lender. Nationalized banks take around a month minimum for disbursal. Whereas the private banks and the financial institutes might take a month maximum. 9. What is a sanction letter? Once, the loan application is verified, the lender sends a sanction letter, accepting for the loan disbursal. Which shows all the details about the applicant and the loan applied for and for which property and what kind of loan, what is the tenure and the EMI. Suggest a complete check of all the details before the disbursement. 10. What is the validity of the sanction letter? The validity of the home loan sanction letter varies from three to six months. Once the sanction letter is expired, the borrower should again start with the initial step for borrowing the loan. 11. What is loan documentation? 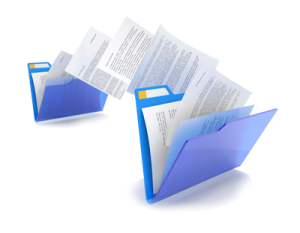 Loan documentation varies from lender to lender, from property to property and from borrower to borrower. The usual documents required are personal documents say address proof, identity proof, pay slips, bank account statements, passport size photographs. The property documents say property’s title deed, no objection certificate, etc. With these documents, the verification is processed before the sanction of home loan. 12. What are security cheques? The security cheques are taken from the customer in the form of blank cheques (without signature on the cheque). The bank takes it and uses it only the EMIs are not payed. And these will be returned to you along with home documents, when you totally payback the loan. 13. What is home loan insurance and how it will cover? The home loan insurance secures your home loan pay and in case of unseen emergencies the home loan pay is not stopped, instead it is covered and the dream home remains to your family. The lenders either have exclusive schemes or tie-ups with insurance companies. Usually, the insurance plans include cover for the home, properties in the home and cover for the life of the borrower too. It depends on the scheme the borrower opts. 14. What is EMI and P-EMI ? EMI is Equated Monthly Installment. The repayment of loan every month after the loan amount disbursal is EMI. For under construction properties, the loan amount is partially disbursed according to the construction progress. If the EMI is paid on that loan amount, then it is called PEMI. 15. What is the cycle for EMI or PEMI? EMIs and PEMIs are paid every month. The date can be fixed by the loan applicant, either the starting days or ending days of month. Usually, bank asks for a date in the first week of the month. This is the cycle for every month and every year till the repayment of loan. 16. How many times I can pay part payments? Part payments can be paid either quarterly, half-yearly or annually. 17. Is there any penalty for part payments? No, there is no penalty for part payments. 18. Can I pay part payments through online? It depends on the bank. But many accept the part payment through NEFT (National Electronic Funds Transfer). In case you want to make part payment on your Home Loan Account through NEFT, you need to visit your bank’s nearest branch. The Service Request number received during branch visit must be mentioned in the remarks column in the NEFT form while making part prepayment through NEFT. The transactions with invalid request numbers will be rejected. NEFT is a nation-wide payment system facilitating one-to-one funds transfer. Individuals can electronically transfer funds across the country from one bank to another bank participating in the Scheme. 19. How to get my amortization schedule ? Visit your nearest branch and ask for amortization schedule. The banks usually charge a minimal amount. 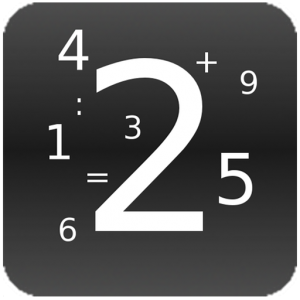 Though there are many amortization calculators online, once you should tally the bank’s schedule and the online calculator’s schedule. It is good to know how the amount is divided between the two components interest and principal. We believe in Organic Management, the complete and the structured. Every step is taken with attention to close your loan at the earliest. Feel the difference as we take you to the tour, “How We Work”. To make our and your work convenient, we place the customers in three phases. Enter your details and apply for a new home loan or a balance transfer. Get eligible for the bidding by the leading banks in the industry. Know the status updates about the sanction of your loan. Utilize our Live Support and Chat with the Banker and our representative. Quick disbursal of your loan with a minimum of 0.10% discount on the ROI, for an year. Congrats, you are our priority customer now. All your details are in our database / into our algorithm. Our work begins where everybody else’s end!!! We track your ROI constantly and send you alerts about part payments and interest rates of your bank and other banks as well. Get alerts under the following subject lines. a)Get stuck to the lowest interest rates and save the maximum. b)Don’t let your money sit unattended. Learn with us how to reduce the tenure of your loan with your hard-earned savings. c)Be the first one to know about the change in repo rates and the banks spread. Want to follow our alerts? Just click on the suggestion link. We take you along the process. Get into this step and refer more of your friends to save more. You finally, reach this stage before your estimated tenure. Following the procedure to close the home loan is also equally important. Apply for the loan closure. Doorstep service assured. Get updated with the process. We get all your documents back in your hand. Relax in your home!! You are done with your home loan. Our team works like a clock, to maintain your ROI at the lowest, every time. Loan Rate Shield guards as a screen and sends alerts and tips how you can close your loan before the estimated tenure. Stay connected, all time, with us while we work on your loan life cycle.